Well, I didn’t expect that. A season spent jumping between universes ends with a trip forward in time. 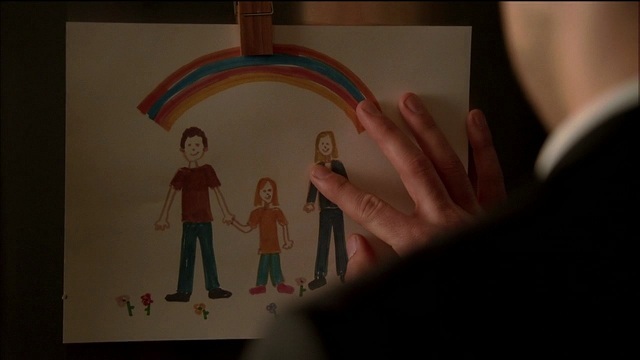 This is exactly what I love about Fringe. 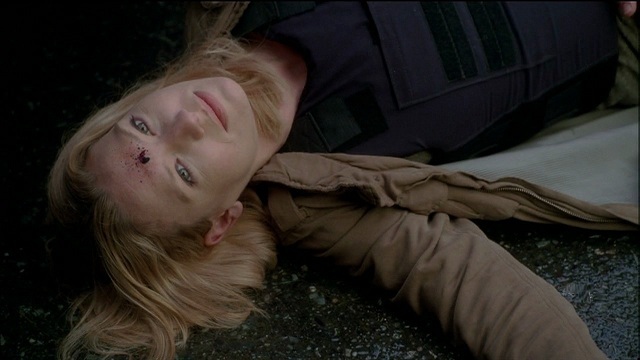 Like its predecessors, LOST and Battlestar Galactica, Fringe is not afraid to take risks in its storytelling. They look danger in the face and say, ‘Whatever, dude!’ And with that we begin our look back at ‘The Day We Died’. 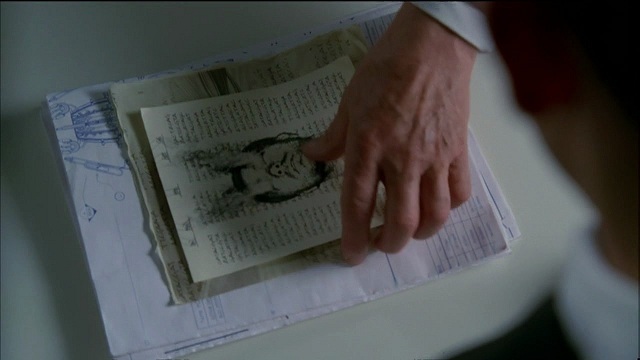 First off, there seemed to be a great deal of symmetry to this episode. The cold open with the End of Dayers started things with a literal bang. But where did that bang take place? 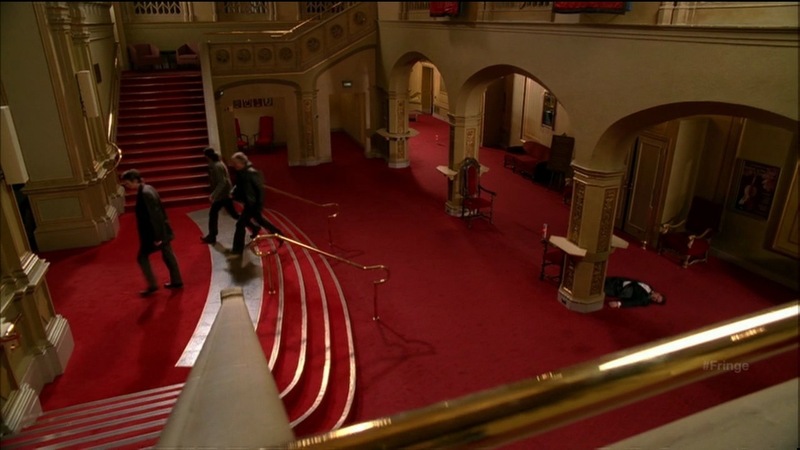 From the look of it, none other than the opera house where Team Cortexiphan made their heroic incursion into Earth-2 during Fringe’s second season. 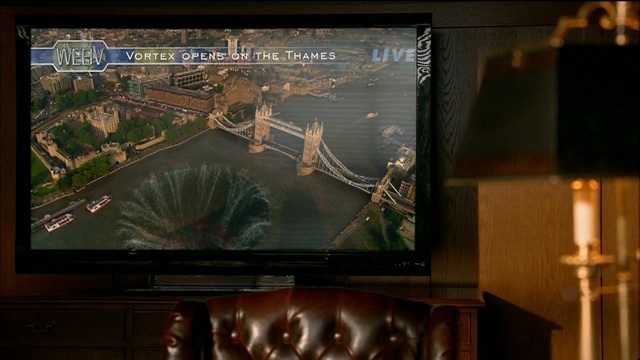 This makes sense because there would be an interdimensional ‘soft spot’ due to the aforementioned Earth-2 incursion. As the title sequence began, it was immediately obvious that something was different. Gone was the cold blue of our world or the blood red of the other universe. In their place was a silver/grey color scheme that hinted at the dire situation faced by the citizens of the future. It also seems that Fringe science has advanced, as the list of topics was beyond most anything I am familiar with. The fact that water and hope are on a list with these Fringe sciences is particularly disheartening, even in such a bleak future. Considering that water from the ecosystem is being lost to the myriad wormholes that seem to regularly pop up, it’s no surprise that scientists would be searching for a way to artificially create it. But to see hope up there with areas of fringe science that are so far beyond what is currently being contemplated is scary. Has the world fallen into such decay that hope is no longer a fundamental of life? Have things worsened so much that the world has turned to science to manufacture hope? 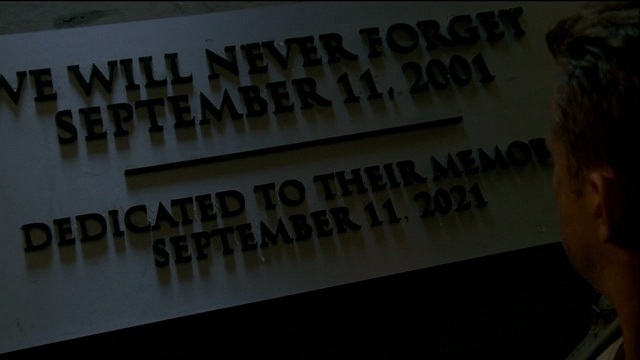 If so, it’s a future that even heroes like Peter, Broyles, Olivia and Walter would be hard pressed save. As we catch up with the future, we were treated to a very young Agent Dunham, a Peter who’s hairline is very reminiscent of his fathers and an Olivia Dunham that bears a striking resemblance to the Bourne Supremacy’s Pamela Landy. 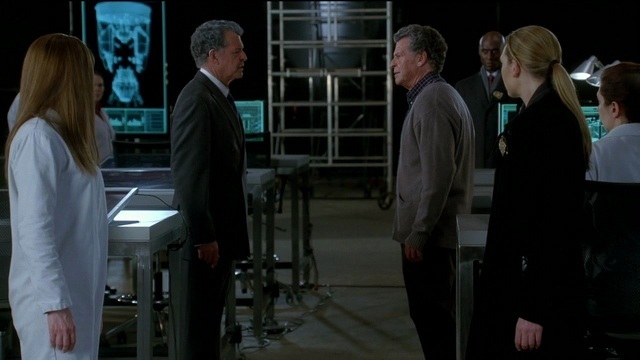 Unfortunately, we also get to see a bionic-eyed Senator Broyles and a broken down Walter Bishop. I was actually heart-broken to see a Walter who was, once again, imprisoned for the catastropically negative results of his experimentation. The gentle Dr. Bishop sported a UnaBomber-esqe beard and physical markers of someone who suffered a stroke. It seemed that the years had not been kind to Walter. His release from prison after 15 years mirrored his earlier release from the asylum in Season 1, only this time he is greeted with open arms by his son. While Walter was freed to help save the world, it seemed that Walternate had escaped his worlds destruction and was hastening the degradation of our world. But what of his world? Well, apparently Peter had chosen to use the machine to eradicate it in favor of his adopted world. But much like many well-intentioned decisions, it backfired. It seems that Earths 1 & 2 were ‘inextricably linked’ and the lost of one universe completely upset the balance in the other. Let this be a lesson to all: Never destroy an alternate universe! But we’ll get back to that later. As the episode progressed, we witnessed a showdown between father and son and a version of Olivia that was so confident in herself that she had mastered her psychic powers. Unfortunately, we also witnessed Walters’s heart-felt embrace of Olivia and the murder of the aforementioned Director Dunham at the hands of Walternate. Symmetry, remember? In the end, it came down to father and son. Walter and Peter discussed the reasons for their current predicament and Walter dropped the seasons nuclear warhead-sized reveal. Remember the ‘First People’? The ancient, advanced precursor race to humanity that created the machine? Well, strictly speaking, there are no First People. It seems that Walter is the creator of the machine and that he is also responsible for sending it back through time to give Peter the chance save both worlds. So, don’t I feel like an idiot? My earlier column went on and on about the amazing First People and their crazy primordial tech. In the end, the First People weren’t an advanced people from the past, but the last generation of a dying alternate future. 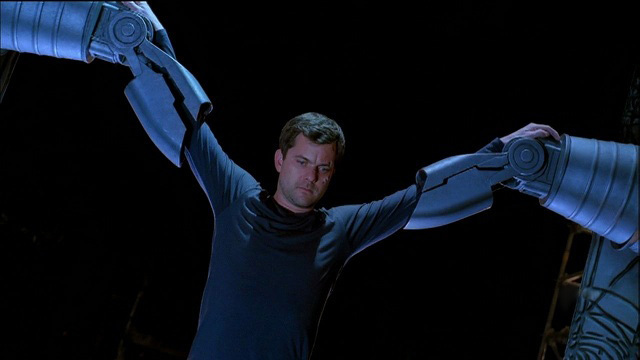 Leave it to Fringe to pull the sci-fi version of a rope-a-dope on us. As I alluded to earlier, the answer to a problem between two universes was time travel. Go figure. The finale closes with Peter not choosing either world for destruction. Instead, he chooses a path that no one (character or viewer) would have thought of: He chooses to create a bridge between the two worlds. Utilizing the machine, he creates a dimensional de-militarized zone for Walternate, Walter, the Olivias and the rest of those involved to worked together to save both worlds. Alas, it’s not without some type of unexpected result: Peter winks out of existence and no one seems to notice. 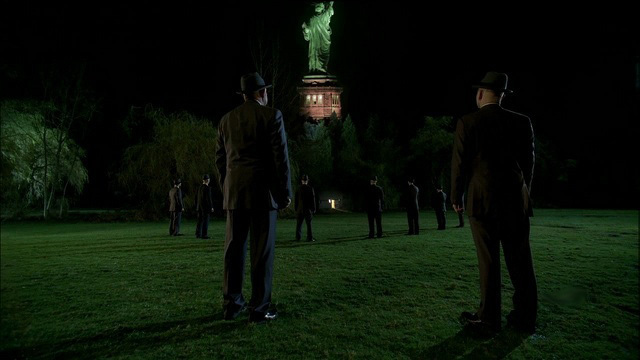 Outside, the Observers stand united and discuss how Peter never existed. Never existed?! 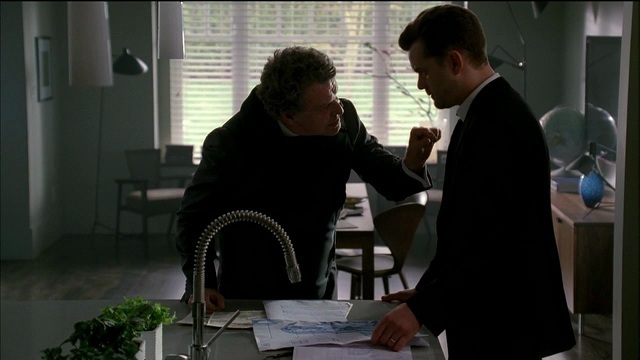 This was Fringe pulling a ‘Move the Island’ from the playbook. 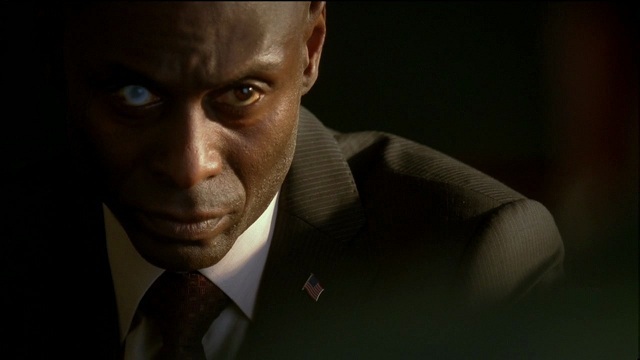 Many of us didn’t think the show would make it past this season, but a renewal for Season 4 opens up myriad impossibilities, not the least of which will be the Search for Peter. It’s somewhat obvious that no one seems to ever remember Peter existing, but once they start to examine their respective worlds, there is no doubt that they will begin to question things. Confused? Well, if he never existed, why are the two worlds at war? Why did Walter journey to the other side? 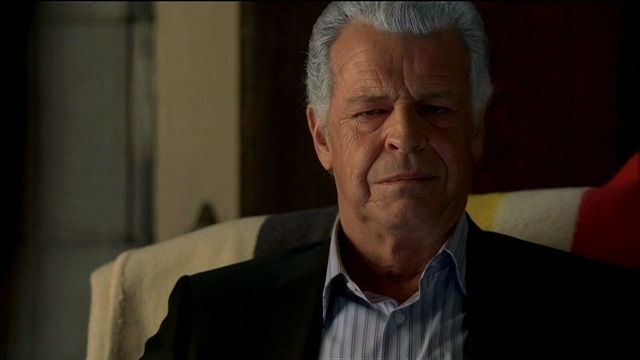 Who is the father of Fauxlivia’s child? Inconsistencies will lead both sides to realize that something is off. With that said, this season was the best yet and I look forward to the next. Peter is forgotten, but not gone.